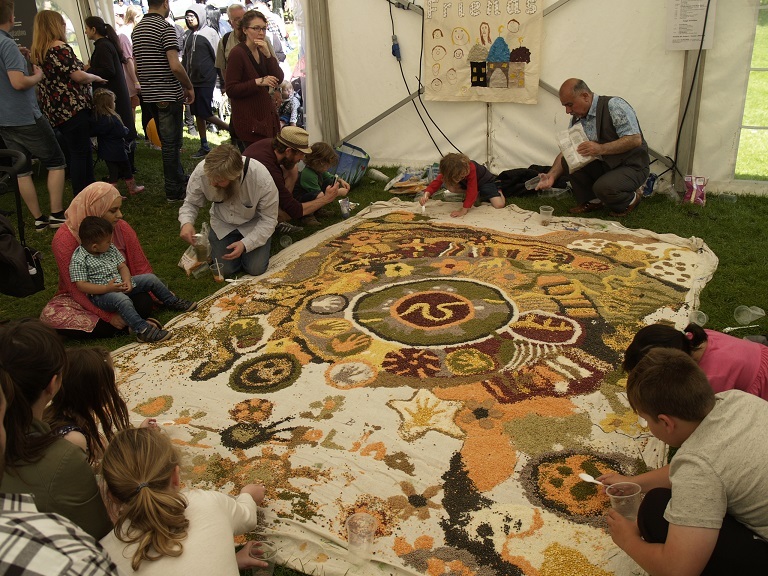 The Friends of Ropner Park and the Commmunity Welfare Trust commissioned artist Adrian Moule to lead the formation of a mandala at the EID Fusion Festival in 2017. 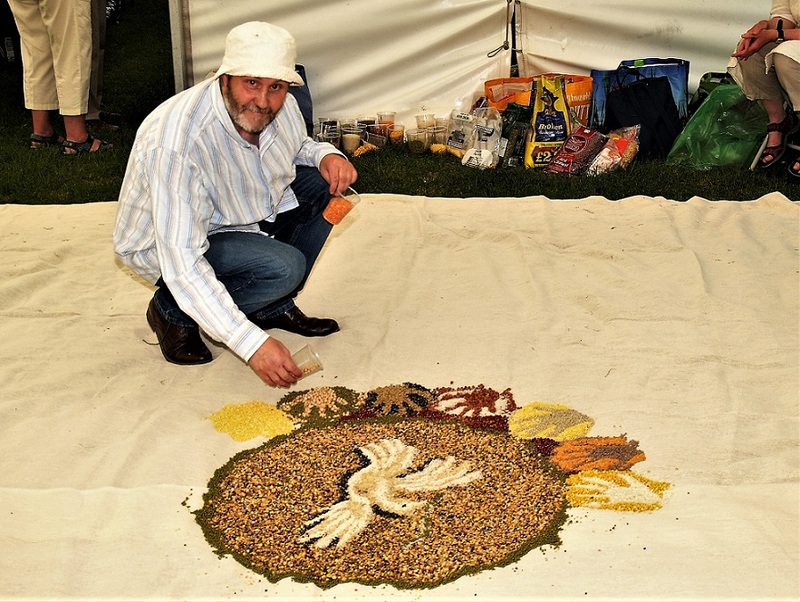 Adrian is a Painter, Printmaker and Community Development worker. 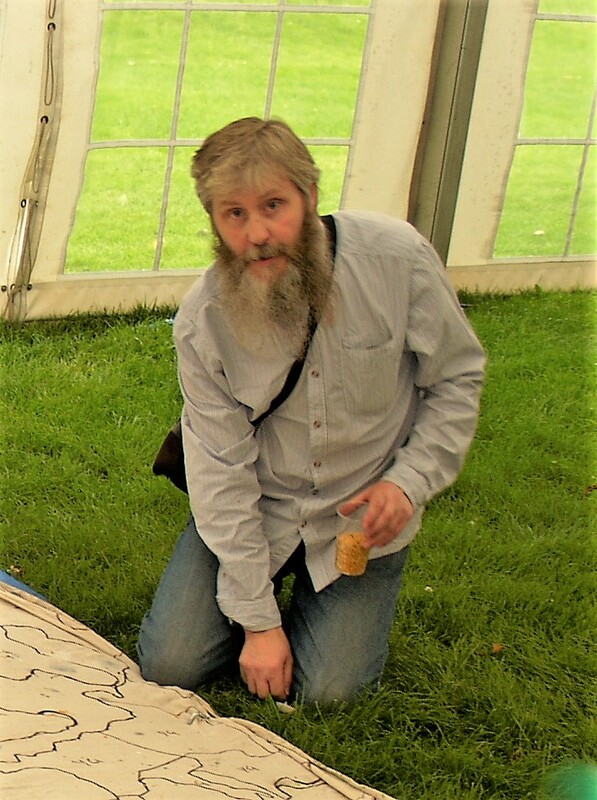 In a quiet corner of a Marquee at the EID Festival in July, artist Adrian Moule begins to set out the cloth for a Mandala.The centrepiece was “The RIver Tees”. A mandala is a complex abstract design that is usually circular in form. In fact, “mandala” is a Sanskrit word that means “circle”. Mandalas generally have one identifiable centre point, from which emanates an array of symbols, shapes and forms. 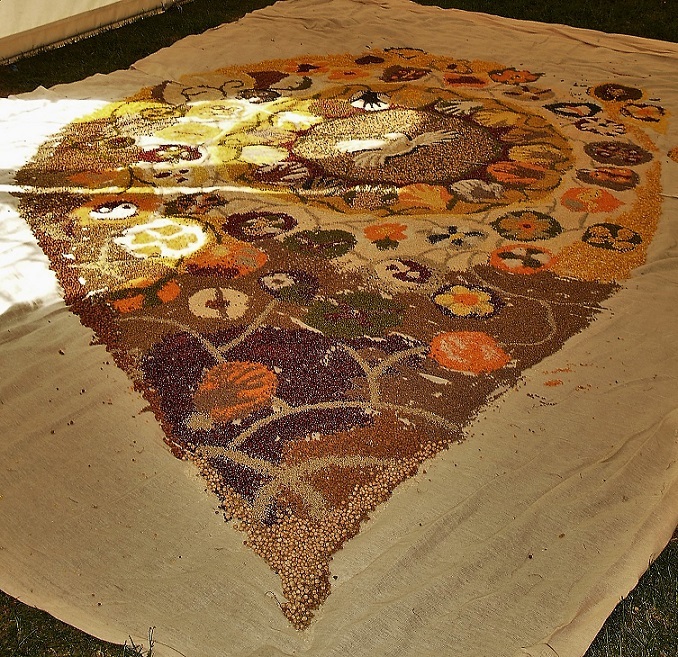 There are mandalas in many cultures, Mexican, Aztec, Celtic and there are also other types or versions of the Mandala and they are used for many reasons. 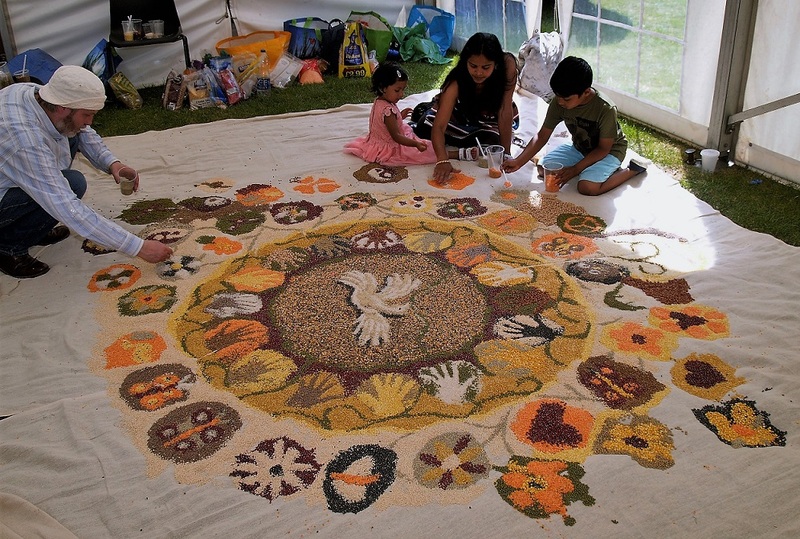 Mandalas are often formed using different coloured sands. 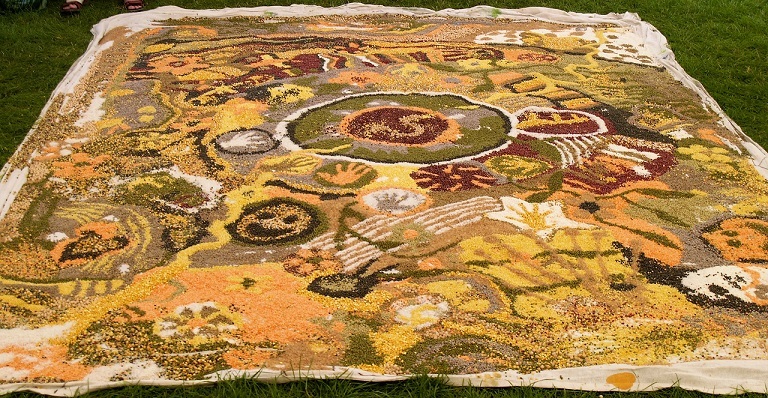 In the EID mandala the colours were provided by different coloured pulses. 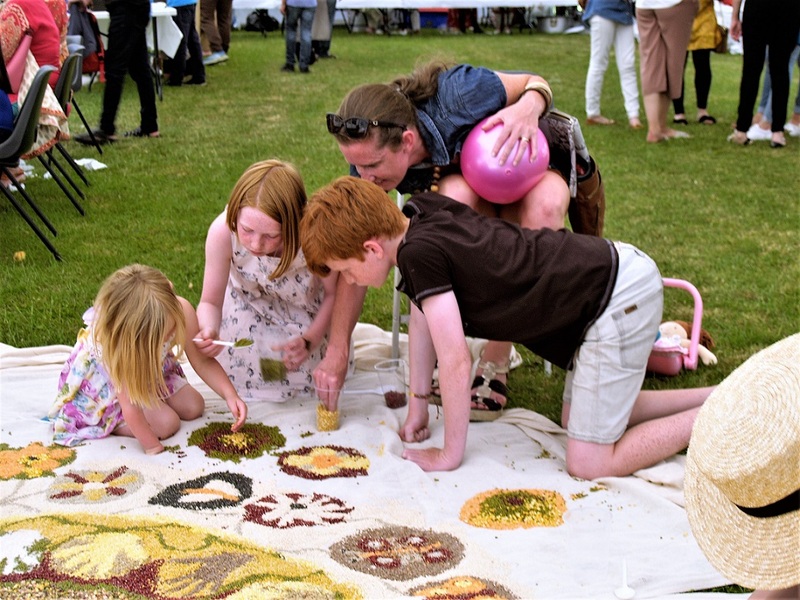 Adrian`s summed up the afternoon….. “At the Eid festival the young people were drawn to each other through their activity, they all understood this was a special thing and related to it with reverence. Some came with the anxiety of not wanting to spoil it and once in their own zone they relaxed and engaged. Others had the confidence to do something and then found that the Mandala was not at all forgiving and expected more from them. 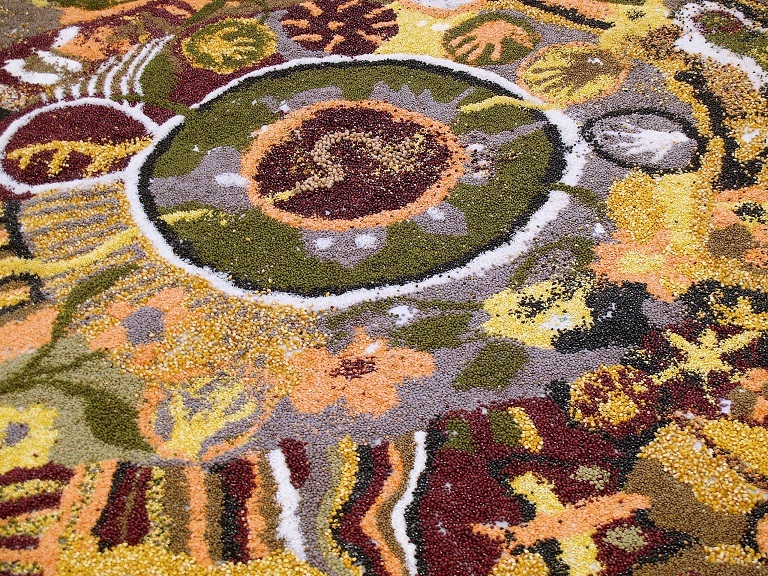 Another Comment is that an audience or “viewer” is necessary to create a mandala. Where there is no you, there is no mandala. At the end of the afternoon the cloth was lifted and the pattern disappeared. There is no permanent display. All that is left is in the photographs and more importantly in the memories of those who contributed to its formation. That`s the way it is with mandalas. Families love to get involved.